Some people are just dumb. They say ignorant, hurtful things and act foolishly. Don’t fall victim to their stupidity and allow them to upset you. They can’t help the way they are because, after all, ya can’t fix stupid. Wow Helene! Thanks so much for your generous comment. 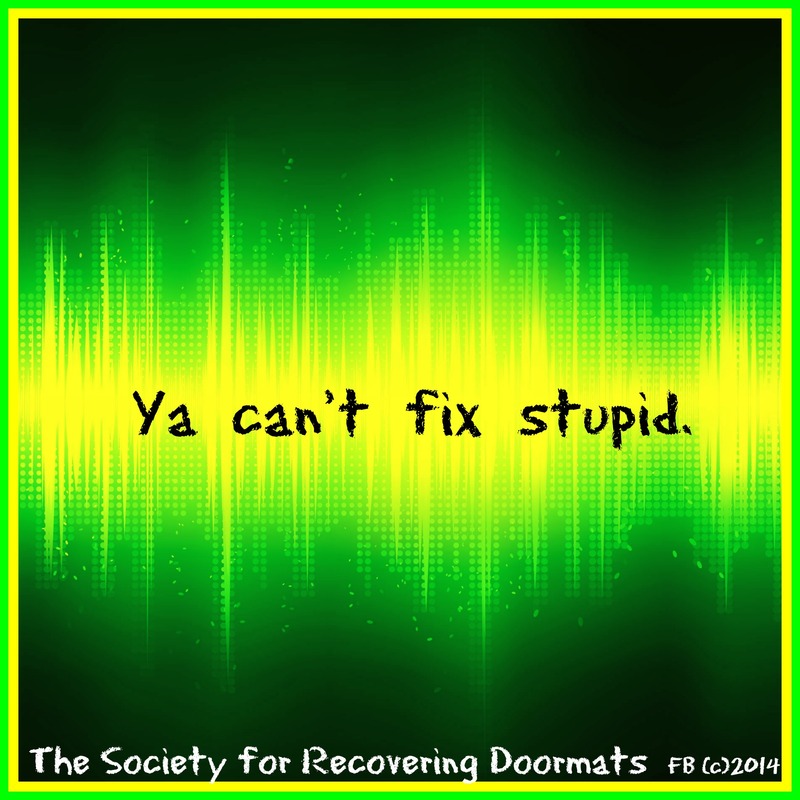 I am so happy you are enjoying The Society for Recovering Doormats. Your viewership is greatly appreciated. Rose. Thanks so much for your feedback Capital. I appreciate what peeps have to say. Hi, just wanted to tell you, I enjoyed this article. It was practical. please go on posting! I will come soon.